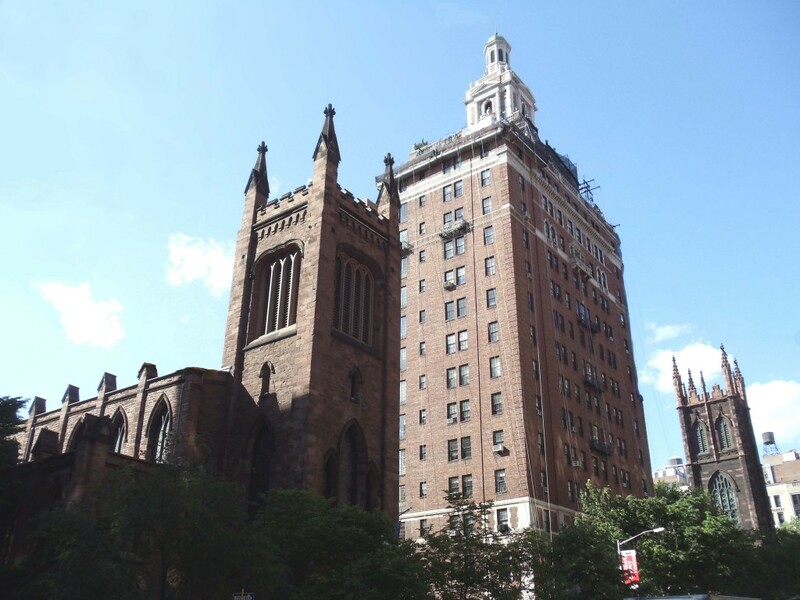 Standing directly adjacent to the north of the Church of the Ascension’s yard, 40 Fifth Avenue’s site is a rare example in New York City of a building plot that does not fill its blockfront but which is still open on all three sides. Architects Van Wart & Wein took full advantage of the fact, creating a freestanding design rivaled on Lower Fifth only by One Fifth Avenue. Neo-Georgian details include brick quoins, delicate iron balconies and a triumphant crowning tower that suggests a New England church belfry and which echoes the spires of both the Church of the Ascension to the south and of First Presbyterian to the north. A classical interlude between two Gothic landmarks, this is one of the best apartment houses on Fifth Avenue – eye-catching, yet completely in balance with its neighbors. ‹ “Room at the Top” at 570 Lexington Ave.